Over the years, we have accumulated a wealth of experience in mechanical and electrical automation design and project management in the mechanical wood based industries, metal based industries and process industries. Our products enhance our customers’ operational efficiency and the profitability of their business, providing them with a superior competitive edge in the global market. Co-operation is a vital element of success in today’s business. It requires time, openness and integrity from everyone involved, as well as a positive vision of the future. We are a member of the Subcontracting Excellence Cluster S.E.C., a major co-operation network in the metal based industries. 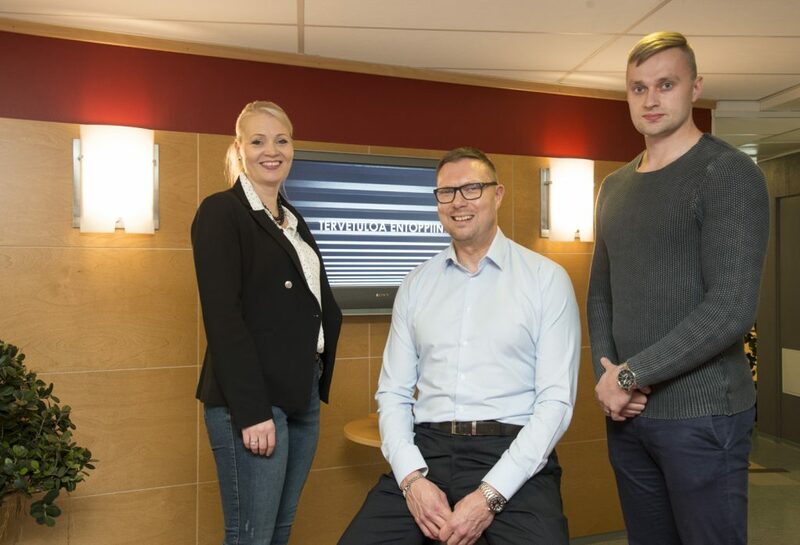 Entop’s offices are located in Lahti, Tampere and Helsinki – our services are available nationwide. 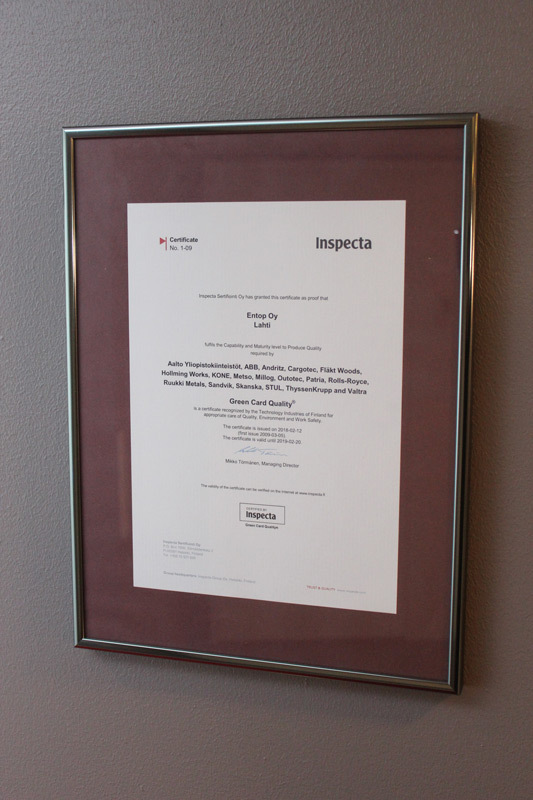 Kiwa Inspecta has granted Entop Oy the first Green Card quality certificate in Finland on 15 February 2007.